Abu Dhabi’s largest custom car show is back! Here’s one for all you custom car lovers, Custom Show Emirates 2019 is back and bigger than ever. This weekend sees the return of Custom Show Emirates, packed full of exhibitions and workshops. 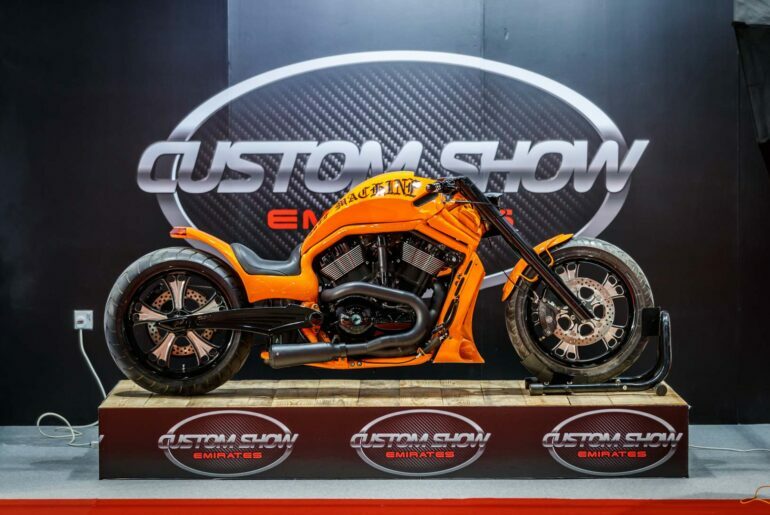 Now in its 5th year, Custom Show Emirates is showcasing the latest in custom cars at the ADNEC (Abu Dhabi National Exhibition Centre) from 28 to 30th March. The event is expected to attract over 30,000 visitors, who will come to see the array of activities and exhibitions on show. This year is the biggest so far, as the event will be host to 180 plus exhibitors from all over the globe. There will also be competitions at the event, allowing for guests to show off their customising skills. A number of challenges will be available from a biker build-off to a custom car competition. The event will also have areas for children to explore in the kids’ garage. Some of the other exciting events include 4×4 Drifting, Battle of the Engines and a Car and Bike Parade. Doors will be open at 10am-10ppm on the Thursday and Saturday, and open at 3pm and close at 10pm on the Friday. Join the official Facebook event to hear about all the details and timings here. Tickets can be purchased online at www.customshowemirates.com or will be available on the day at the venue.